Reducing the gap between the thing in your head and the thing you make was the main topic of Brendan Dawes presentation. 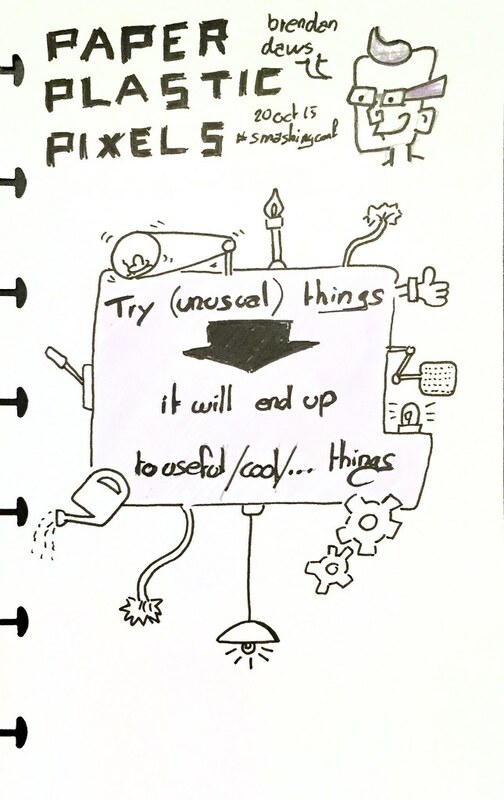 If you have a collection of things you have done, you can more easily present them and use them in real projects. His advice was to experiment, test things, build your library of … projects that you can reuse or tweak for building “real” things. SmashingConf 2015 Barcelona: Brendan Dawes — Paper, plastic & pixels from Smashing Magazine on Vimeo.